There's a lot of controversy health-wise around the consumption of soy, especially about the production of estrogen. With it being such a strong alternative to meat and other animal products, it seems that it can be a stumbling block for people to going towards veganism, especially men who get worried about the feminizing hormones. 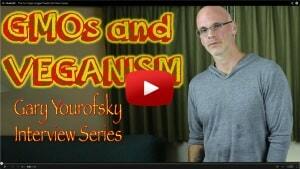 In this interview, vegan activist Gary Yourofsky give his two cents on the soy controversy. Following up on the soy subject, Gary addresses GMOs in a video exclusively available to Nugget Newsletter members! If you want to hear Gary's take on GMOs, check out the VIV Area here on BSV where I've posted his answer to this issue. You can sign up for your free access in the form at the foot of this post. I am a German fan of yours and Gary’s. :) Thank you for your work. I am responding to your question about the size of the nuggets. I think it’s perfectly fine if you go longer than five minutes. I think you shouldn’t put yourself under any time pressure. I would also watch your show if each session were ten minutes or more.